Loiste Restaurant and Roof Terrace, 10th floor, Sokos Vaakuna Hotel, 2 Asema Aukio, Helsinki 00100. +358 20 123 4610. 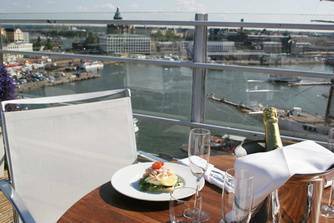 Gourmet dining at Loiste so more than a breathtaking view of Helsinki. Palace Roof Bar, 11th floor, Palace, 10 Etelaranta, Helsinki 00130. +358 9 1345 6715. 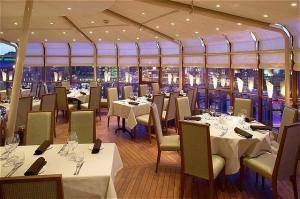 A cosy bar which is open throughout the year and during the summer you can enjoy a lunch or a drink on the outdoor terrace while admiring the stunning seascape high over the rooftops. 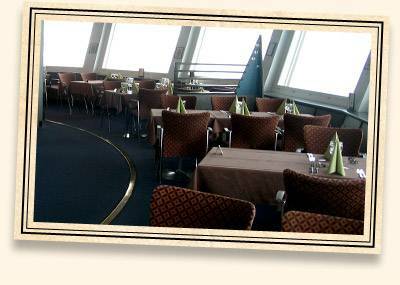 Näsinneula Revolving Restaurant, Näsinneula Tower, Särkänniemi Adventure Park, Särkänniemi, Tampere 33230. +358 3 284 8234. On the shore of Lake Näsijärvi, some 170 km north of Helsinki. Mon to Sun 11am—11.30pm.